The Castelli Fast Feet TT Shoecover black men has been developed in accordance with the UCI Maximum Aerodynamics Regulations for Time Trial. The development process included CFD analyses, extensive material investigations and practical tests in the wind tunnel. The smooth and silicone-coated foot area optimizes the wind attack surface, while the grooved leg area provides ideal air separation. Their maximum advantage is in the high-speed range in time trials. Tip: keep in mind that the Castelli clothing fits smaller than normal. 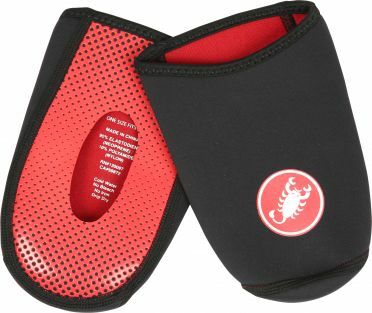 The Castelli Fast Feet Road Shoecover black men is for racing and training use in cool and/or humid conditions. The silicone-coated stretch material ensures optimum air flow and protects against wind and weather. The seam in the ankle area is sealed for the best possible moisture protection. 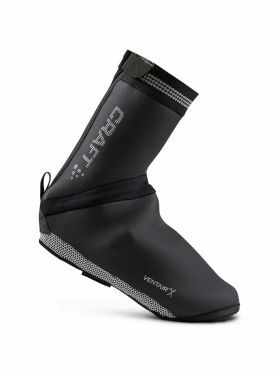 These overshoes are not lined and therefore not recommended in cold weather. From a temperature of 8 °C and higher, they ensure good weather protection with the best possible aerodynamics. Tip: keep in mind that the Castelli clothing fits smaller than normal. 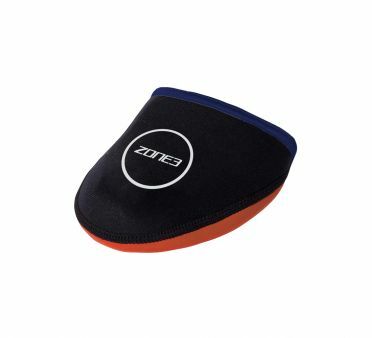 The Zone3 Neoprene Toe Caps are designed to bring just the right amount of warmth to transitional and cooler weather rides in the Spring or Autumn. The toe cap allows you to enjoy your ride without the hassle of a full shoe cover. 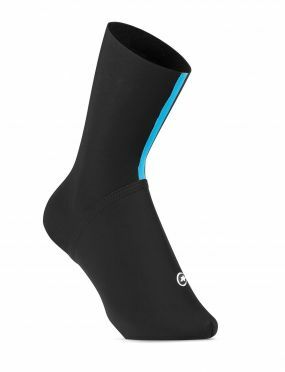 They are also perfectly suited for anyone doing an early morning race or ride that needs to ensure breathability from the foot but doesn't want numb toes. 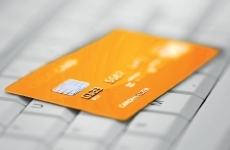 They are particularly popular with triathletes competing in long distance events. 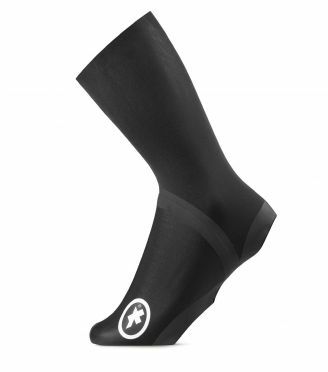 The toe covers are made from traditional 3mm neoprene and are designed to fit over almost any cycling shoes. 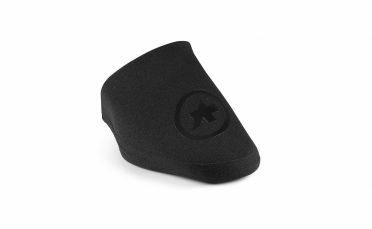 A retuned version of our popular toe covers, the Assos TiburuToeCover Evo8 black is made of neoprene to provide water resistant protection to the front section of your shoes. 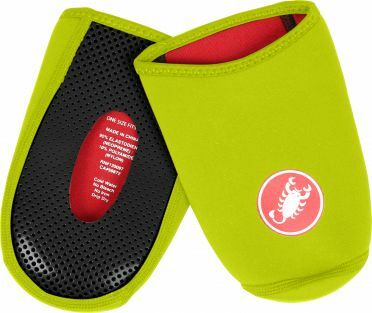 Offering the qualities of a traditional overshoe but in a package easily small enough to be carried in a jersey pocket, these toe covers can also be left permanently on your shoes to extend their use into the cooler months. Covering the most ventilated portion of your cycling shoe, these essential covers help mitigate the effect of short rain showers and significantly cut windchill. 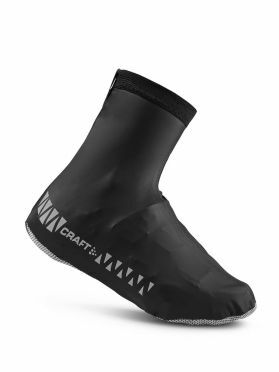 Designed for cold weather cycling, the Craft Siberian bootie cover black cover boasts super-elastic neoprene fabric and offers zipper-less construction. The Siberian Bootie features waterproof sealed seems, reflective prints for extra safety and durable fabric along the footbed. A velcro adjuster under the bootie pairs nicely with most pedal systems currently on the market. These Craft Glow bootie cover grey not only protect your feet from the cold and rain, but also make you make you more visible in the dark than 'standard' overshoes. The taped seams and the wind- and waterproof fabric ensure that wind and rain cant reach your feet. The overshoes are made of an elastic material which makes the putting on and taking off the overshoe very easy. 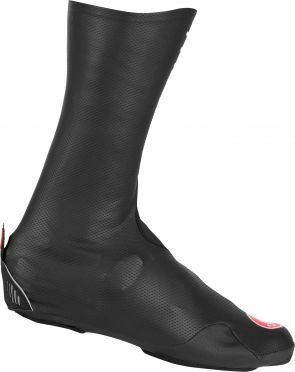 The ”Pro” in the Castelli Diluvio pro shoecover black men name indicates that this product comes from a request from Team Sky riders for an even warmer bootie for training in cold and wet conditions. 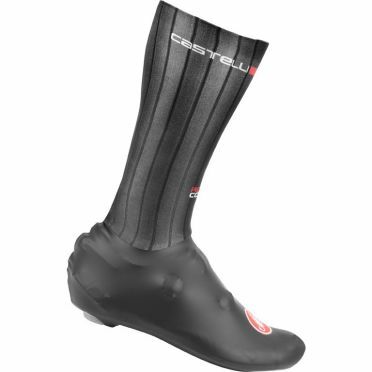 Castelli made the neoprene 33% thicker and raised the height to cover the lower leg up to just under the calf muscle. The top edge is raw cut to help seal against the skin to keep water out, the seams are sealed like on a wet suit, and the fabric remains very stretchy for great fit and ease in pulling on. Reflectivity on the heel keeps you visible in low-light conditions. Tip: keep in mind that the Castelli clothing fits smaller than normal. 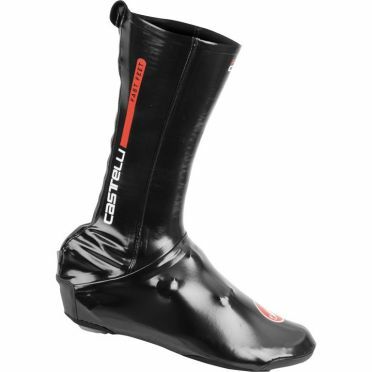 This Castelli Ros shoecover black men is made with a stretch water resistant and windproof breathable fabric with a fleece liner, cut high to the base of the calf muscle for warmth in dry weather. The Rain or Shine concept within the Castelli collection is a designation for products that are designed to excel in dry weather yet provide significant water protection when you get caught in the rain. 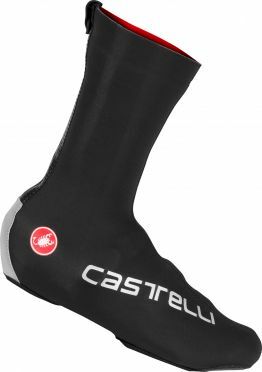 For rainy conditions, Castelli moved critical seams toward the outside, where they’re less exposed. The zipper is also moved to the side, and Castelli included a molded reflective heel cup for visibility. Tip: keep in mind that the Castelli clothing fits smaller than normal. Castelli Toe thingy 2 yellow fluo men: designed for those slightly cooler days. Keep your feet warm without the hassle of a full shoecover. These toecovers slip easily over the front of your shoes and are held in place by the cleats. The rugged underside of the toe will add grip and resist rips or tears thanks to a silicone print. The toecover can be worn on its own or as a layer between your shoe and shoecover. Castelli Toe thingy 2 black men: designed for those slightly cooler days. Keep your feet warm without the hassle of a full shoecover. These toecovers slip easily over the front of your shoes and are held in place by the cleats. The rugged underside of the toe will add grip and resist rips or tears thanks to a silicone print. The toecover can be worn on its own or as a layer between your shoe and shoecover. 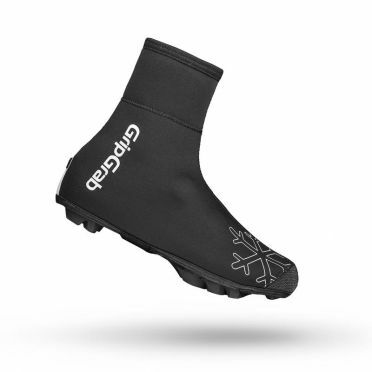 With the Craft peloton bootie cover black you will never have cold feet again. The taped seams and the wind- and waterproof fabric ensure that wind and rain cant reach your feet. The overshoes are made of an elastic material which makes the putting on and taking off the overshoe very easy. The reflective print ensures that you are clearly visible on the road. The GripGrab Arctic X overshoe black is suited for off-road riding and is an extra durable version of Arctic: one of the warmest shoe covers available on the market. 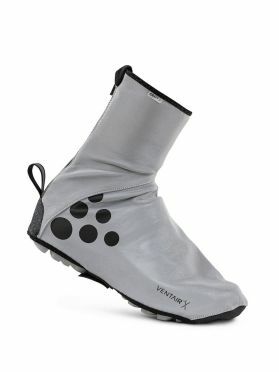 It is waterproof, highly insulated and ideal for very cold winter days. It is made from 4 mm waterproof neoprene with a hollow fiber lining and offers maximum thermal insulation. The Arctic X incorporates the Eurobike Award winning technology; IntelliSeal. An ingenious technology that greatly enhances the durability, fit and water resistance of shoe covers. 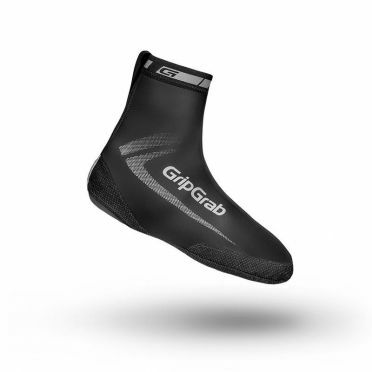 The GripGrab Racethermo X overshoe black is suited for off-road riding and is an extra durable shoe cover that is waterproof, insulating and ideal for cold and wet winter days on the trails. The RaceThermo X incorporates the Eurobike Award winning technology; IntelliSeal. An ingenious technology that greatly enhances the durability, fit and water resistance of shoe covers. The RaceThermo X is made from 4 mm waterproof neoprene, it protects your feet from dirt and sprays when riding in wet and cold conditions. Compatible with most types of pedal systems. 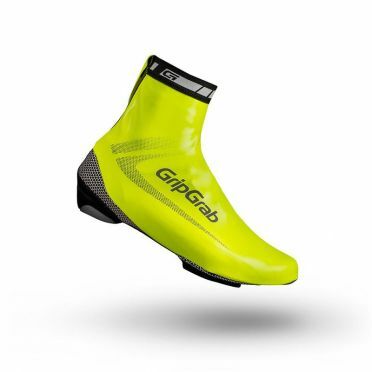 The GripGrab RaceAqua hi-vis overshoe yellow is a lightweight, waterproof and aerodynamic shoe cover that protects against wind and rain. The waterproof stretch fabric gives a tight fit and the rear zipper makes it easy to pull over the shoe. The sole is reinforced for added durability. Reflective print on the side of the covers along with the yellow fluorescent colour make for augmented visibility in low light conditions. 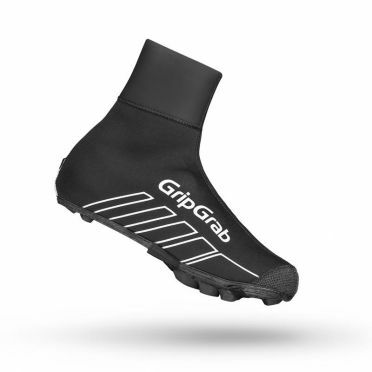 The GripGrab RaceAqua X overshoe black is a lightweight, waterproof and aerodynamic shoe cover which has been especially designed for off-road use. 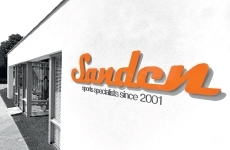 Waterproof stretch fabric gives a tight fit and reflective logos add an extra element of safety. This special version of the RaceAqua has an open sole design with large heel and cleat hole to suit cross-country shoes. The base itself is made from Kevlar for maximum durability. This allows you to dismount your bike in difficult sections and run, without compromising the functionality of your shoes or slipping the shoe covers. 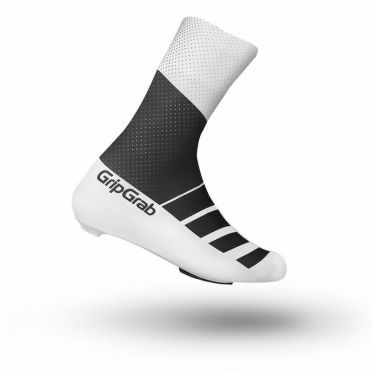 When every second counts, the GripGrab RaceAero TT shoe cover black/white is what you need. Aerodynamic efficiency is paramount in time trials and these aero shoe covers are designed to save you seconds by smoothing turbulent air over the straps and buckles and thereby reducing drag over and around your shoes. Use these covers for those special occasions where saving seconds makes all the difference. 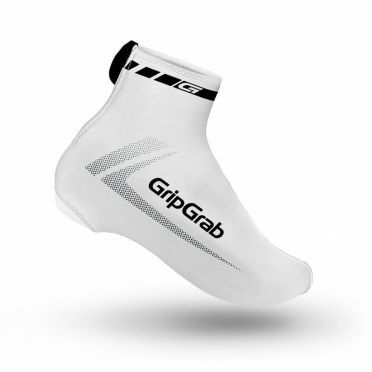 The GripGrab RaceAero shoe covers white are Lycra shoe covers offering ultimate aerodynamic efficiency. Besides protecting shoes against spray and dirt, RaceAero looks great too. Compatible with most types of pedal systems. One size fits all.